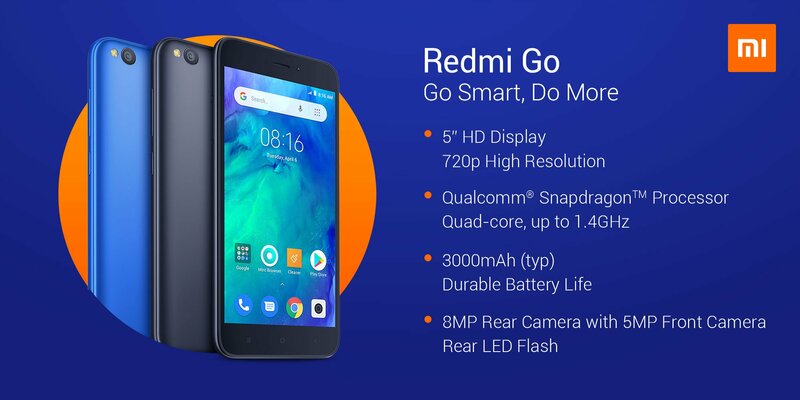 Xiaomi has now officially introduced the Xiaomi Redmi Go smartphone official. The Xiaomi Redmi Go smartphone comes with a 5-inch HD display on the front. The device comes with a Quad-Core Qualcomm Snapdragon 425 mobile platform. The device also comes with an 8MP of sensor on the back side with LED flash.